Mother's Day isn't a day I fuss over really. If you read a post I wrote a while ago, you may understand why. If you haven't read it, you can read it here. Although, I do love to received gifts and surprises I think the best thing a Mum can do on Mother's Day is have a good relaxing day (somehow). The only people I buy for Mother's Day is my partners Mother, my Nain and my partners Nain. So it isn't too bad. I like to do hampers and buy keepsake presents. But some men can easily 'forget' or just don't have time for gifts. 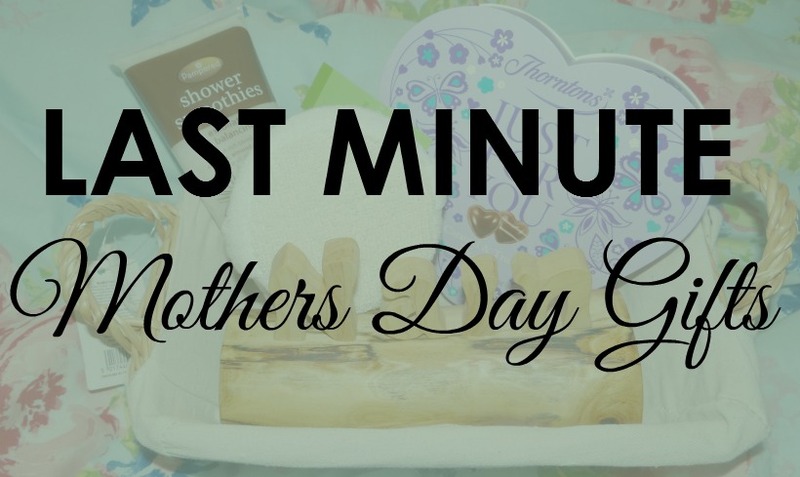 Mother's Day isn't all about receiving gifts, there are other ways you can give that special woman in your life a lovely Mothers Day. A LIE IN BED - What's better than having a stress free morning? You could wake up to the kids and let the Mother lie in bed for a couple of extra hours. Let her rest and take her time to be ready for the day ahead. BREAKFAST IN BED - Why not cook her favourite breakfast? Some pancakes or a full on English breakfast with a glass or orange juice or a cup of tea? Perfect breakfast for the special woman to wake up to. A NICE WALK - Get yourselves wrapped up for the cold weather and go out for wintery cold walk. A time you can all bond, catch up and enjoy yourselves. As well as enjoying yourselves, you are all making new memories together. FLOWERS - There are always flowers on sale somewhere in shops. Surprise her with a bunch of flowers. If she loves surprises and loves flowers, this will be a big win and a huge smile on her face. DO THE HOUSEWORK - Let her have a resting day and do some or all of the housework. Pick up that brush and mop the floors. Do the dishes, keep the clothes, you get it. She will love you even more! MAKE HER FEEL SPECIAL - Bringing a child into the world is one of the most hardest but most amazing thing ever. Having to carry and grow a baby for 9 months can be a lot of stress and an emotional time for many women, but once that baby arrives all of the pregnancy symptoms are left behind and forgotten about. Make that woman feel special and thank her for bringing your child to the world. HANDMADE GIFTS AND CARDS - Get the little ones involved and do some crafts. There are many Mothers Day crafts online such as Google and Pinterest. So easy and fun to do. Are you sorted for Mother's Day?